The founders of sports nutrition brand, Grenade, were crowned ‘Great British Entrepreneur of the Year’ for 2018 at the National Winners’ Evening of the NatWest Great British Entrepreneur Awards in London last night. Everyone in the GBEA community brings something unique to the mix - whether it is innovation, creativity, inspiration or diversity - maybe with years of experience or a youthful new perspective. 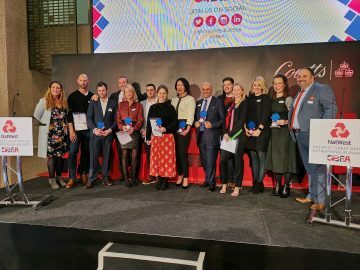 Congratulations to all the 2018 GBEA final winners and to Francesca James and her team for making this happen. Kudos to Coutts for hosting the event and supporting such a diverse bunch of entrepreneurs! 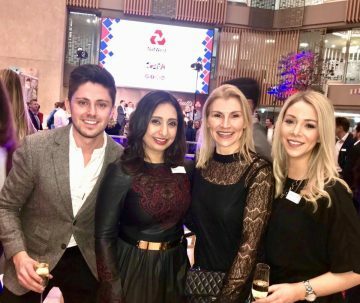 Great to catch up with clients Simon Crowther (founder, Flood Protection Solutions and GBEA Judge), Bethany Ainsley (founder, Nouveau Group) and former GBEA Winner Lisa Sohanpal (founder, Nom Noms World Food and GBEA Judge). Congratulations to all the national winners of their categories and in particular Alan and Juliet Barratt, founders of Grenade, the overall 2018 GBEA winners.